It was almost at the end of February a couple of years back, when we were just watching T.V at home in Kolkata. Some travel program was appearing on on the screen. Though they were showing Sikkim, somehow they mentioned the names of Lava Lolegaon which had an instant appeal on us. It didn't take much time to take the decision, and within few days we were all set for the trip to this tourist paradise in the Himalayas. Before we got into the packing mode, we collected some information, like the distance by car from New Jalpaiguri, how long it may take and where to stay. 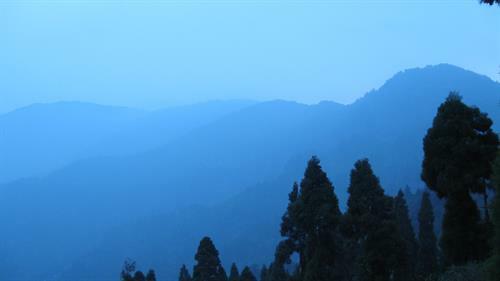 From some places, we heard that these two places are also covered in Sikkim travel packages, though actually it falls under West Bengal Tourism Department in Darjeeling district. LAVA-LOLEGAON are two remote villages surrounded by quite a big area of dense forests stretched over the hills. The villages are quite small with a handful of beautiful hutments in the edges with a very few number of villagers. It is again a boon in disguise that not many tourists reach there like other over-crowded hill stations and so, Lava Lolegaon are still pristine and virgin in their appearance, and in my opinion can be easily tagged as a tourists' paradise. You reach there through the ups & down of the winding hill roads it all looks like a dream with shades of natural colours sprinkled on flowers, orchids, birds, butterflies and cute little cottages. 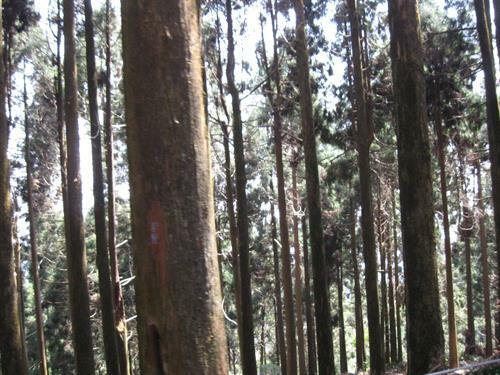 As you go ahead, a thick line of pine trees accompany you till you reach Lava. Lava is at an altitude of 7200 feet, quite close to the Neora Valley National Park and is famous because of its exquisite view of the Rechi La and Jelep La passes. Lava is located about 32 km east of Kalimpong. 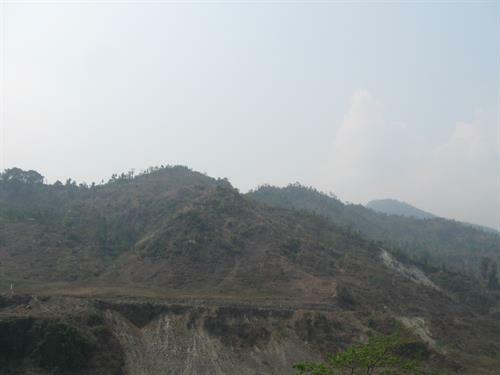 From New Jalpaiguri to Lava it is around 103 kms. 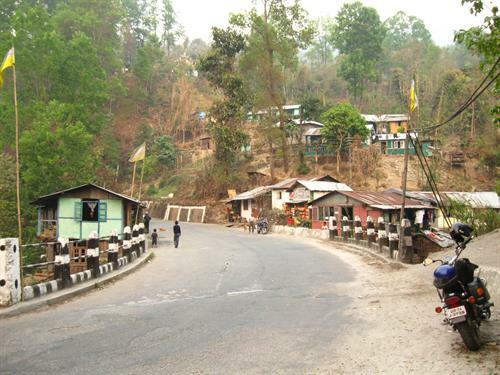 LAVA stands as the main centre of business and communication and Lolegaon is a small hamlet in the Kalimpong Sub division of Darjeeling District. With its breathtaking landscape, rich with lush green forset tree covers & serene valleys, Lolegaon stands unique for its peaceful and serene atmosphere. The peaks of Kanchenjunga stands there in a 300˚ view along with its 12 picks shining with golden rays which you can see from any point of Loley Gaon. 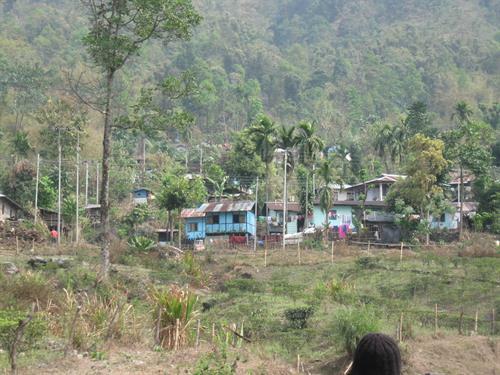 You can reach to the villages of Lava Lolegaon by road, either from NJP (New Jalpaiguri) or from Kalimpong which also you have to take from the NJP junction. From there you get mini private buses, and private taxis or cars. You can either book the entire car or can also go on sharing, to reduce the cost, if you are a small family. It will take around 2 and a half to three hours to reach Lava, and the apparently ordinary hill roads will suddenly give you a jaw dropping surprise at the end of your journey. It is better to stop at Lava first, as from there you get further accommodation and transport facilities which would make the rest of the trip easy for you. 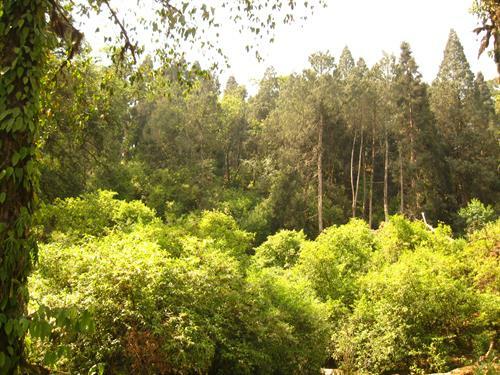 Neora Valley National park It is 123 kms from Lolegaon. GumbadaraIt is a Tibetian Buddhist Monastery with a graceful statue of Lord Buddha. It is only 6 km by road and you have to trek only 1km to reach there. Chhangey falls In about 14 Kms from Lava you get to see this magnificent waterfall. 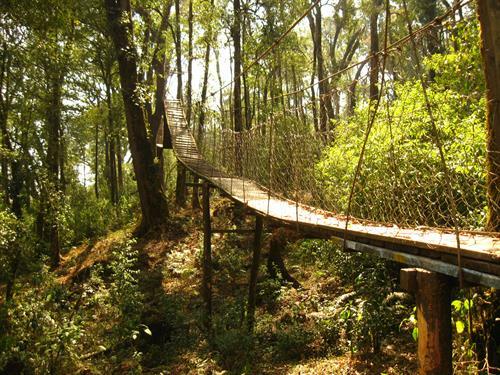 Canopy Walk There is an amazing hanging wooden footbridge here amidst the close knit forest of huge pines and oaks and it is about 180 mts in length. You might feel like falling off your balance every now and then, but finally when you reach the other side, it gives you an out of the world experience. Jhandi Dara is a Sunrise point about 3.5 km from Lolaygaon. There are also Neora Lake, Ratnarishi Gumpha, Silviculture Research Centre and Rametay Dara View point which you cannot afford to miss. You can book your accommodation provided by the WBFDC. 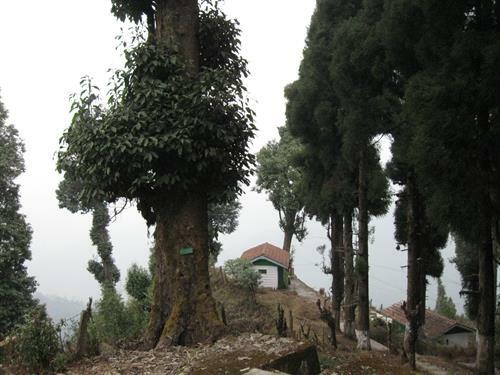 We booked Lepcha Cottage in Lava which is located within a big patch of pine forest. Every cottage there is distanced from each other by a few minutes walk. 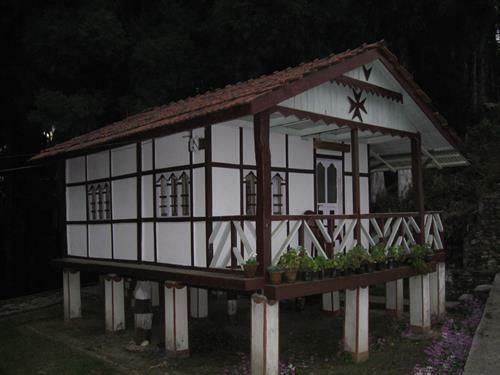 Though a group of cottages are also available for bigger tourist groups. Food is available there on order, apart from few hotels and restaurants that are available in half a kilometers distance. We stayed over in WBFDC Nature Resort in Lolegaon, from where the view is unimaginable. Apart from these there are few private hotels and resorts which are available through advance booking and if your luck is with you, you can also book a room on the spot. Our trip to Lava Lolegaon was like a dream come true, which came as a surprise since we haven't heard much of it. The entire place is covered with a dreamy mist almost through the year, and you can get to see things when the mist disappears at its own will. 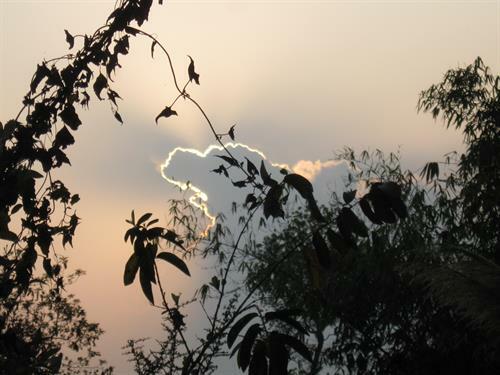 The sunrays play hide and seek with the mountain shadows and the trees offer their best colours and fragrance to welcome the few visitors who reach there. It gave us an amazing experience with a feeling that the world is beautiful even today, it is up to people how long they wish to enjoy this beauty keeping their daily needs aside.